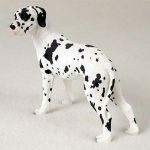 The third color style offered for our Great Dane figurines is harlequin. Harlequin consists of white with black spots all over. 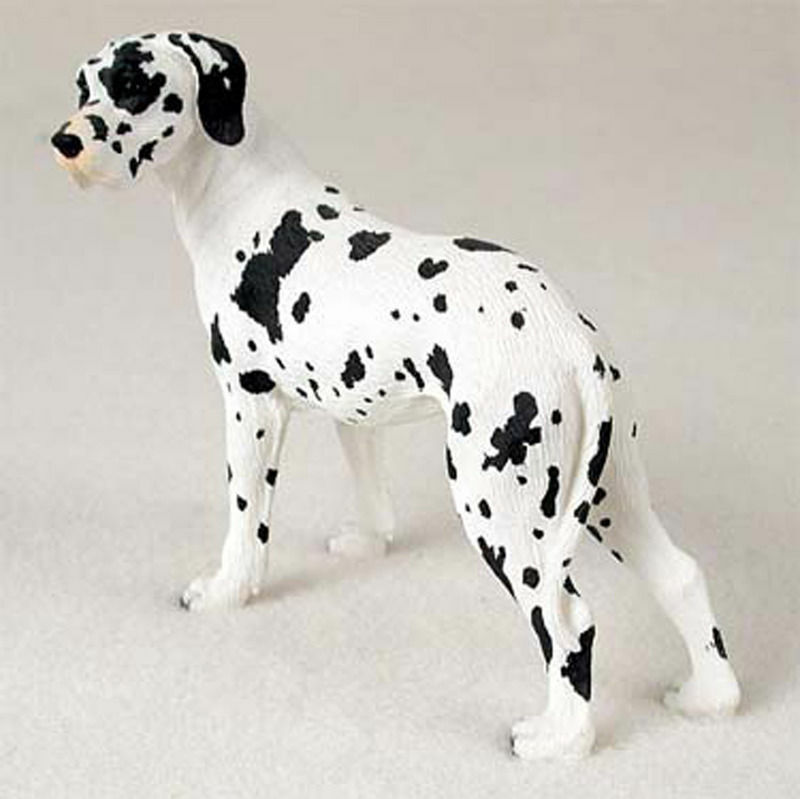 The Great Dane is the only breed permitted to have harlequin coloring. 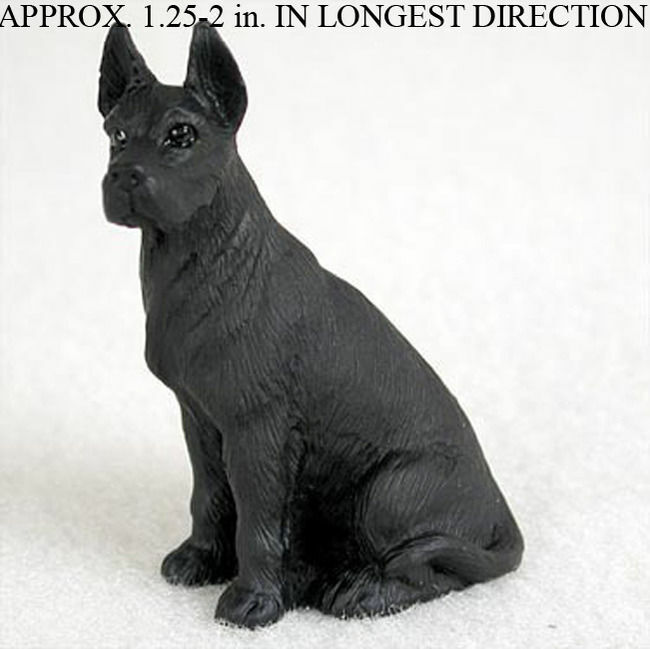 Other breeds in the past such as the Mini Pinscher had harlequin coloring but was a disqualifying color noted by the AKC. 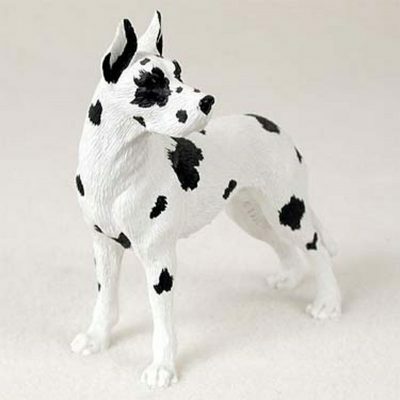 Our Great Dane Harlequin figurine is white with black spots located all over. 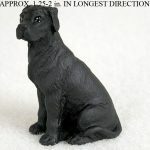 Black spots cover the eyes and ears as well. 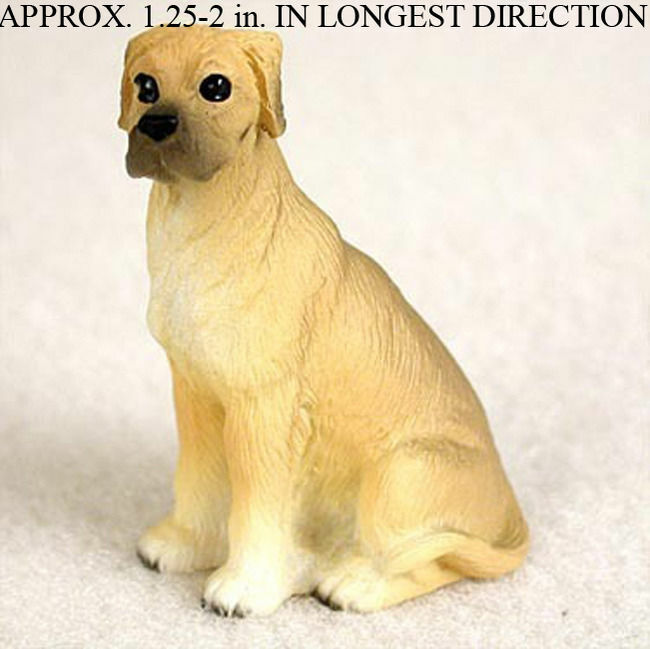 The figurine matches the real life breed’s stature well. Tall, lean, but broad in nature is the best way to describe our Great Dane figurines. All harlequin lovers cannot go wrong with this figurine. 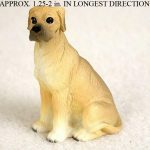 This figurine comes with cropped ears.